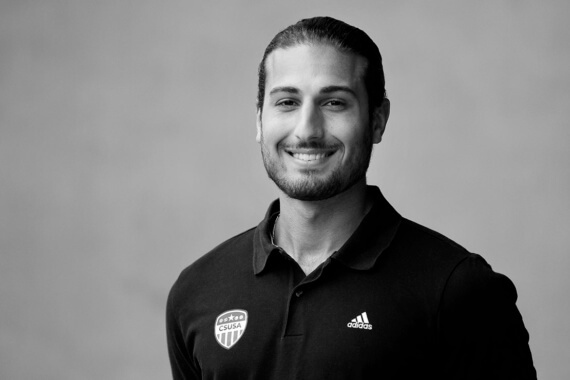 Raby George is a Recruitment Specialist working primarily with our Swedish soccer and tennis players out of our Södertälje-office. He has been part of Team CSUSA since October 2016. Raby George was a four-year starter at the prestigious University of North Carolina at Chapel Hill in NCAA D1. Off the pitch, Raby double-majored in Economics and Management, with a minor in History, while maintaining a GPA above 3.0 in December 2015. During his earlier years, Raby won several major tournaments, such as Dana Cup in Denmark and Gothia Cup in Sweden, where he also was chosen MVP. At the young age of 18 he was moved up to Syrianska FC first squad in Superettan (Swedish 2nd tier) as he helped them win the league and advance to the Swedish top division for the first time in club history. He remained there for a year, gaining some valuable minutes, before deciding that he wanted to combine education with athletics in America. With help from Carl Ebers, who he is now colleagues with at CSUSA, Raby ended up at the University of North Carolina in 2012. He was recruited on a full scholarship, and started in 84 out of 85 games as a center midfielder. During his 4-year period at UNC, the team was always a top 5 team in the nation. He won ACC Regular Championship twice in 2012 and 2015 and was an All-ACC Team selection, All-South Region First Team selection each year, and received several National Team of the week nominations. In his last year at Carolina he was also awarded the Kirk Urso Heart Award. The award is given to a student athlete that brings a daily competitive spirit to the team and demonstrates a relentless will to win. My first Battle of Tobacco Road, UNC vs Duke Rivalry in 2012 live on ESPN. We had 8000+ fans going back and forth in a heated game that we won in overtime.